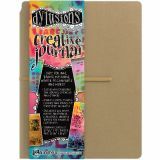 Dylusions Dyan Reaveley's Creative Journal - RANGER-Creative Journal. 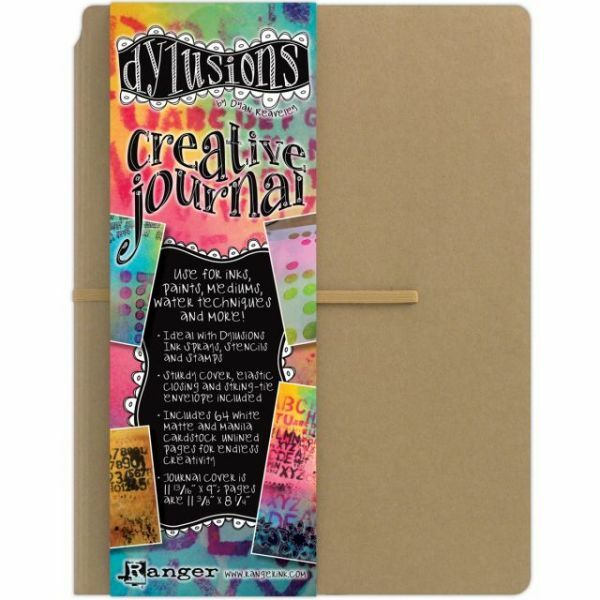 This journal is part of Dyan Reaveley's Dylusions Collection and is great for us with inks, paints, mediums, water techniques and more (not included). Journal is 9x11-13/16x1 inch and features sixty-four 8-1/4x11-3/8 inch cardstock pages. Also includes a folder on the inside cover to use for storage and an elastic band closure to keep all your work safe. This package includes one journal. Imported.